An environmental activist who was marching barefoot across the country to raise awareness about climate change was killed over the weekend. Mark Baumer, 33, died Saturday after being struck by an SUV on a Florida highway as he was walking on the shoulder. [...] The activist's death came after he had logged his 100th day on the road in a post on his ominously named blog notgoingtomakeit.com, which included an equally ominous photo of his bare toes beneath the word "Killed" painted in yellow on a road. Hopefully this can help increase awareness for his cause so his death won't go to waste. You can check out his donation page where he was raising money against natural gas, and if you feel so inclined, please donate. We need your help to save Norway's wolves! Already two wolves have been killed and Norway still plans to kill 41 more of the 68 remaining wolves in the country. Learn more here and be sure to sign the petition demanding an end to the hunt. Norway has a population of wolves counting 65 to 68. The coming winter, 70 per cent of them can be hunted and killed. The Norwegian Regional Management Authorities for areas 4 and 5 decided that 24 wolves can be shot inside the "wolf zone" – the designated areas where the Norwegian wolves are allowed to live. Earlier this year, the same authorities decided that an additional 13 wolves can be hunted outside the "wolf zone”. Another ten wolves can be hunted in other regions. In the end of November the Norwegian Environment Agency has given its recommendation that 41 wolves can be shot this winter – a reduction of only 6 individuals from the originally suggested 47 wolves. At the same time the agency is not sure that this is a lawful decision in relation to the Norwegian legislation and Bern Convention and ask the Ministry of Climate and Environment to make the final decision. Thus, it is now up to the minister Vidar Helgesen to decide the fate of Norwegian wolves this winter. This is 100% true. I'm a vegetarian and have been happily for 6+ years now and when I began I didn't stop eating meat altogether at once. That's not possible and will only make it harder for you - and your husband - to become vegetarians. Changing diet is a long process that never really ends. In the beginning you will have temporary setbacks where you go back to eating meat again. This is especially true if you immediately try to eliminate meat from your life. Because no matter how strong your willpower is, and lets be honest here, it's really easy to fall back into bad habits (eating meat) on a day when you're tired and doesn't feel like coming up with a "complicated" vegetarian dish. We are all lazy, and it's okay. A better way is to slowly cut meat from your diet. I first started with only buying organic and/or locally produced meat. Such products tend to be more expensive than non-organic meat so you basically end up buying and eating less meat. After that, I completely eliminated beef from my diet. Why? Because beef is the one meat that has the biggest negative effect on our environment and climate. So cutting down on beef will make a huge impact on your climate footprint. Slowly after that I also cut meat from pigs from my menu (after beef, meat from pigs have the biggest impact on our climate). At this time the only meat I ate was fish and chicken - all organic and/or locally produced, of course. This was a process that for each step took several months. Finally, I also stopped buying and eating meat from chicken and other birds. Fish was also eliminated from the menu shortly after. Because I slowly started to change my diet I had started to grow accustomed to vegetarian dishes and I knew a bunch of tasty and easy-to-make recipes. This made the last steps, cutting chicken and fish from my diet, so much easier and faster than it took me to eliminate beef and pig from my menu. Now I don't have any urges for meat and I no longer think that meat taste or smell good. Another good way to make sure you don't have any setbacks is to educate yourself and your family. You can easily do this by sharing news articles, documentaries and other stories on the hugely negative effect the meat industry has on our climate and environment. Another point to bring up here is how much the animals in the meat industry suffer. Eating meat is not a crime - but people who do should the very least have a bad conscience for doing it. Again, thanks for sharing your story - and good luck! 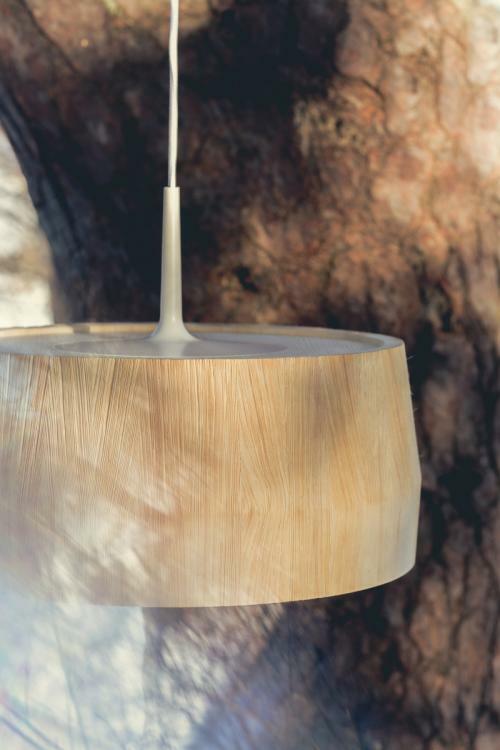 Check out these beautiful and sustainable lamp designs made from Swedish pine! Nock is a family of luminaires that create good working light in different environments, but at the same time in a natural material that can soften and create contrast in a room. The inspiration for Nock is located in the manufacturing process. What happens if one translates regular production of extruded aluminum to wood? I wanted to produce a profile which, in a simple way, can be cut to varying lengths to get to different products in a family of luminaires. By sandblasting the surface, I want to enhance the pine properties, its beautiful grain and structure. The wood is always softer in the spring wood than the autumn wood, as it has grown faster. By sandblast the pine the spring wood wears down faster than autumn wood and creates a structure with peaks and valleys in the surface of the material. Nock is an honest product, honest to the functions and its materials. The adjustable suspension becomes a visible, decorative detail in the product together with the sandblasted surface that accentuates the pine. 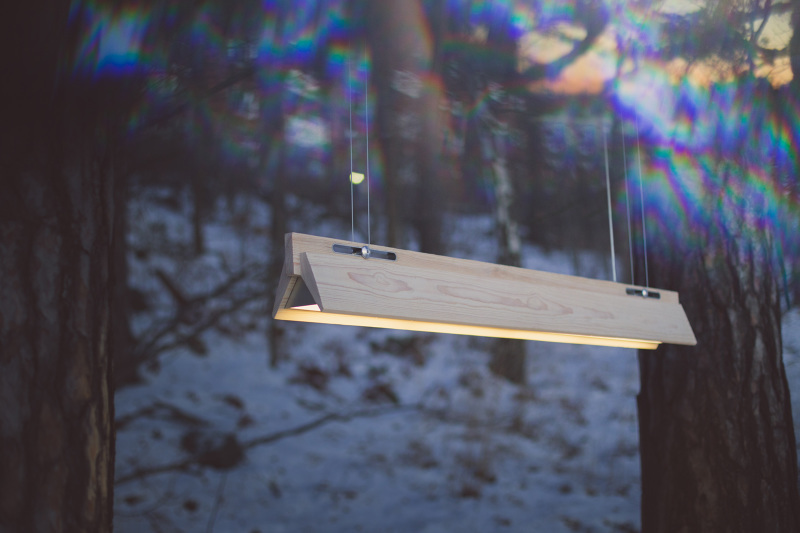 Take Away is a portable light fixture that is based on the idea that people should be free to bring light where they need it. Take Away works well in the home as a desk lamp and in a public place where it can fit as decorative lighting in a corridor. Being able to move a light source without changing an entire interior is a great need, especially since in many homes have dark places that lack space for a lamp. I also wanted to create a luminaire that can be hung on the wall where the empty spaces are available. This will easily be able to move the fixture without making a bigger impact on the surrounding décor. The result is a fixture with associated hooks. A single light source that can be used in various situations where it hung on a hook or placed on a surface. The hooks are placed where light is usually needed, and the fixture can be hung up in the right place. The hook with its solid and sculptural form is to be decorative itself when the fixture is elsewhere. I have chosen to work in Swedish pine wood, aluminum and LED. The materials are raw to give an honest feeling while the contrasts nicely with each other. With the luminaire Take away creates an interplay between man and furnishings. 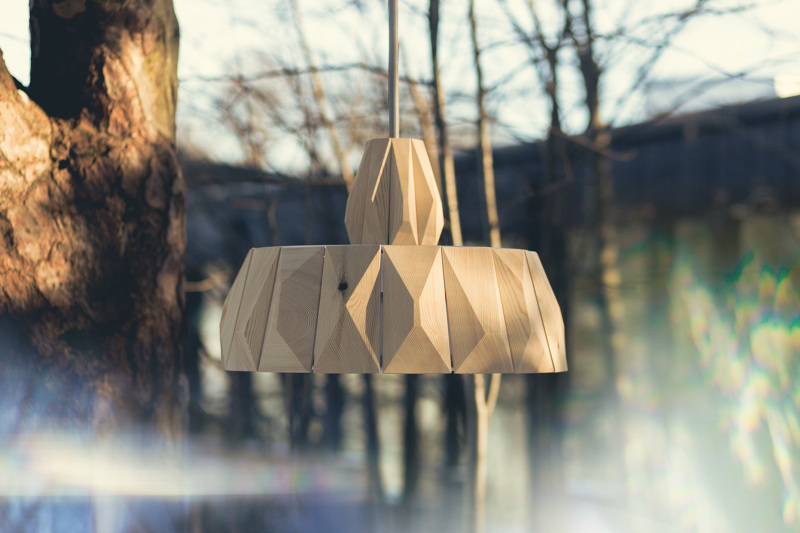 The inspiration for the luminaire December is taken from the barren natural landscape in the norden parts of Sweden. Like ice cubes facets sparkles with angular shapes and light bleeds through the screens gaps. As we in the Nordic countries need more light in the winter, the pine shrinks and allows light to pass between the facets. Likewise the pine swells when the heat, humidity and light comes to spring and summer. 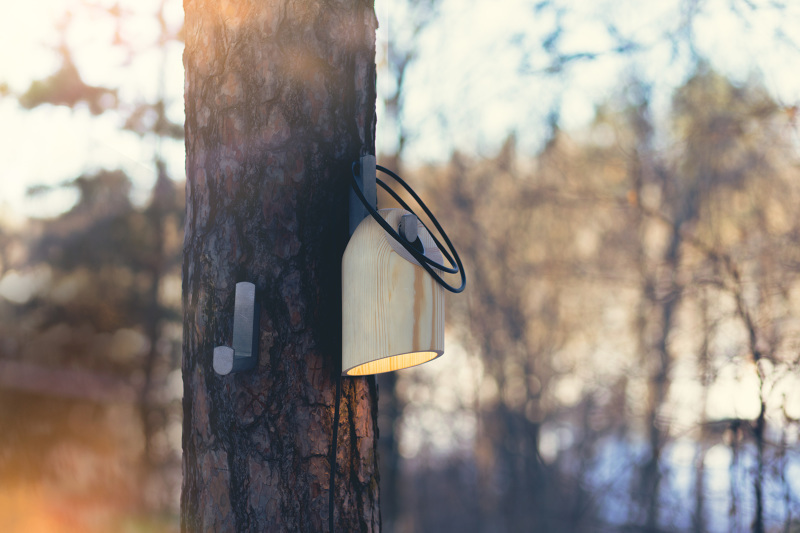 December is made of Swedish pine and metal with the LED light source. In the process of producing a light fixture in the pine I turned my gaze to the pristine pine forest and the yellowed varnished pine. From there I created a luminaire that allows expression of the material both sides. Knall is a pendulum, with inspiration taken from the traditional chopping block translated in stylized form. I have chosen to highlight the pine softness, that makes it is easily damaged, and make it its strength. The split and brushed surface reminiscent of its cracks and unevenness of the texture and shape stubs get when for years they stand outside in all weathers. The name Knall comes from the sound of the ax blade meets the log and it splits. France has been on high alert following the horrific terrorist attacks in Paris, but now the country is stepping up its security measures even more as UN's COP21 climate summit in Paris opens. Around 150 world leaders are expected to visit the climate summit which will take place between 30 November and 11 December. 2800 police will be on duty at the summit itself while 8000 police will help customs officers to guard France's air, sea and land borders. The security measures are unprecedented and in total over 120 000 police and military troops will be deployed across all of France during the climate summit. In the context of the very serious threat affecting our country, ensuring optimum security for the Paris Climate Conference (COP21) is key to the event’s success. At the beginning of November, the Government took the decision to conduct border controls for one month. These controls will continue for as long as the terrorist threat renders them necessary. The Minister of the Interior has announced special measures with regard to traffic and travel in order to ensure rapid and secure access to the Le Bourget site for delegations, while causing the least possible disruption to journeys for the inhabitants of Paris and the Île-de-France. 120,000 police officers, gendarmes and soldiers are being deployed across the national territory in order to ensure the French nation’s security. Are you worried that a terrorist attack could take place during the Paris climate summit? Check out this infographic that shows the impact of climate change on public health. Click here to see a larger version! 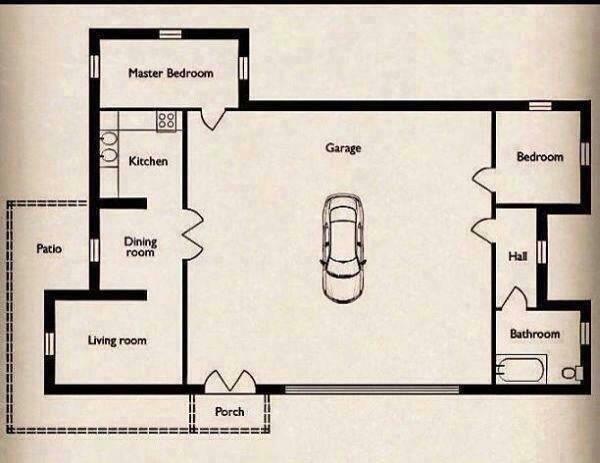 Here's another image that shows how our homes would look like if we designed our houses the way we design our downtowns. Check out this interesting video on Dutch "aquatecture" and sustainable buildings that float on the water - ideal housing solutions in a world where global sea levels are rising. The Netherlands is one of the lowest lying countries in the world. Over one-quarter of the nation lives below sea level. But a growing number of urban planners and architects believe it is time to stop fighting rising sea levels and instead find ways to live with it.Koen Olthuis calls himself an 'aquatecht', an architect who uses water to help improve the design of a city and work with rising sea levels. Koen's idea comes down to some pretty simple technology - floating foundations that can support a new generation of buoyant buildings. He has created over 100 floating houses in the Netherlands in the past 12 years, ranging from apartments to luxury villas but believes his technology can also make a big difference to people in poorer countries who are most vulnerable to rising seas.Russell Beard travels to the towns of Katwijk and Rotterdam to see how the Netherlands is engineering a future on the water. I would love to live in one of those floating villas! What about you? Do you think Dutch "aquatecture" can become a solution for not just the rich but for the world's poor who are living near rising sea levels? 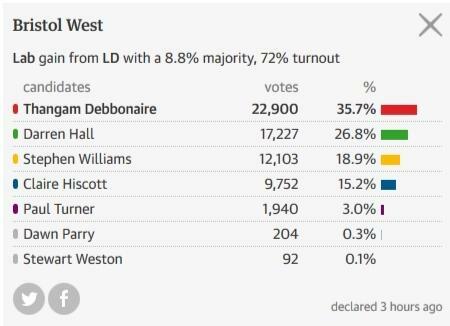 And here are the election results for Bristol West (which the video talks about)! Apparently the Greens came very close to winning with 26.8 percent of the total vote. But Labour received a few thousand more votes and won with 35.7 percent. All in all, the Greens didn't get any new seats but managed to hold Brighton Pavilion after getting 41.8 percent of the votes there. The United Kingdom will have a general election tomorrow. One party that has seen a huge influx of new members lately is the Green Party. The Greens have high hopes to make substantial progress towards the UK's parliament - or at least help push for more climate action and sustainable policies - during this election. But to be able to gain more support and political power the Greens will have to attract more people than their average young, well-educated and - let's be honest - hippie voter. In this video the Guardian follows a few campaign workers from the Green Party as they try to reach out to working-class and ethnic minority voters in areas where the political interest is low, and where the few people who participate in elections predominantly tend to vote for the more established parties - or even the fascist UKIP. Will the Greens be able to become a voice for the voiceless or will they, as the Guardian puts it, remain a middle-class sect? I like it. But I miss the old front page. ​Ah yes, me as well to be honest. But don't worry, the frontpage will be updated with a better design soon that will look and behave more like the old one. It shows that, contrary to some beliefs, climate change will also affect rich industrial countries such as Ireland. We are all in this together. But it is us in the rich industrialized countries in the North who have the historic responsibility for the current environmental crisis. The rich industrial nations have made a fortune on the huge and never-ending increases in consumption and energy. And this without caring about the excessive greenhouse gas wastes that has been created along the way. Countries, such as Ireland, therefore has a moral obligation to take the lead in the fight against climate change - no matter if Ireland is only a drop in the ocean. Good job and thanks for sharing your video with us! Folks, Green Blog has just received a major update! And with this update comes a couple of new features, such as better posting options and a brand new calendar. Green Blog now also has a new website design. It's blue (Now green-ish!) and just temporary. I promise! A new design that will fit Green Blog better will be unveiled in a very near future. Friends have been replaced with followers: In this version of Green Blog, members can no longer add other members as friends. However members can follow other members and receive notifications when the members they are following post. Old friends have been removed and you will need to re-add your old friends as followers. You cannot login with your username: Members will now login using their display names or email. If you are trying to login using your old username you won't be able to sign in. If you're having problems just send us a message at hello@green-blog.org and we will help you sort it out. Please let me know here in this topic if you see something that doesn't work or if you stumble upon something that seems broken. And if you have any questions about this major update and/or how things work just post here. A longer list of new features will be posted in this topic later. Check out this photo gallery of horrible bicycle lanes. They are so crappy you just can't help but laugh at them. Bike lanes are supposed to give cyclist some kind of protection, or at least the comfort of feeling a little safe on busy and intimidating roads. 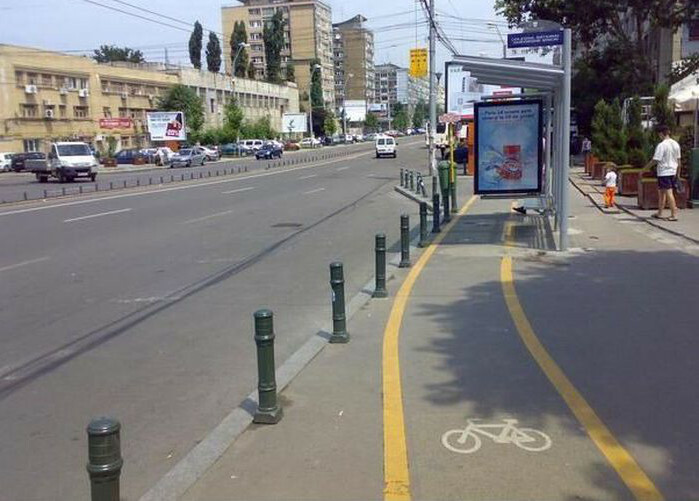 But most of these bike lanes are clearly designed to discourage use. They are at best confusing to use, but mostly they are downright dangerous for cyclists. Do you know any other examples of crappy bike lanes? If so, please do share them with the rest of us! Henry the crocodile was captured in 1903 for eating several children from a tribe in the Okavango Delta of Botswana. Instead of killing the crocodile the tribe elders decided to condemn the reptile to a lifetime of captivity. But what they probably didn't expect was that the crocodile would outlive them all. Henry, who today lives at the Crocworld Conservation Center (CCC) in Scottburgh (a coastal town south of Durban), celebrated his 114th birthday this week. “We have invited all of Henry’s 6 wives to his 114th birthday party,” said the center to BNO News. Crocodiles have an average lifespan of 70 years, so if Henry is lucky he might be around a couple of more years. “These days, Henry has a pretty wonderful life at the Center with his six wives,” Crocworld said. That's a lot of hashtags Jessica! Check out this £175 million "Garden Bridge", beautifully designed by Thomas Heatherwick, which will be built over the river of Thames in London. ITV reports that the bridge is controversial but that the project has just been approved by councillors in Westminster. "This is something that is iconic and absolutely unique, and will be recognised right across the world," said Robert Davis, Deputy Leader of Westminster Council. "I understand the concerns about potential loss of views, but there is no doubting that this bridge will bring substantial and significant benefits to London." 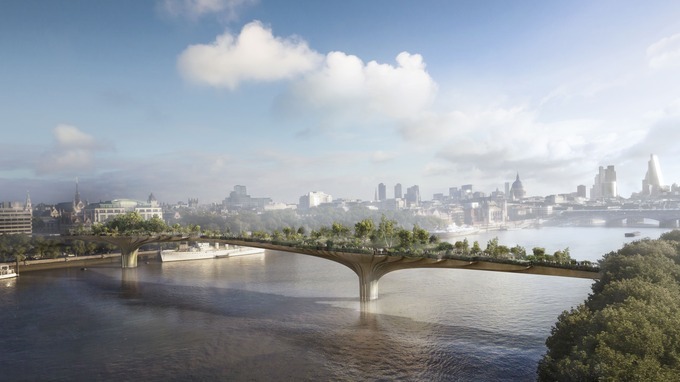 '?do=embed' frameborder='0' data-embedContent>>See the Garden Bridge photo gallery!